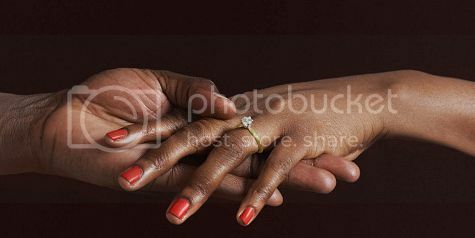 Home love and relationships Are Black Women Too Religious To Get Married? Are Black Women Too Religious To Get Married? As I've previously blogged here, the media has a not-so-subtle obsession with the love lives of single black women. Recently, CNN.com added more fuel to the fire, pondering, "Does the church keep black women single?" We've already learned from the mainstream media that black women are too educated, too successful and too independent to be marriageable. Now, it seems, we can add "too religious" to our list of supposed sins. According to the 2000 census, unmarried rates among African Americans are double that of whites. In trying to explain this trend, you might consider the legacy of slavery, and how it impacted black families. You might look for a correlation between high rates of poverty and lack of personal and domestic stability. Or — as the CNN seems to prefer — you might simply obsess over what black women need to change about themselves to better snag a man, instead. CNN.com's article was inspired by a post by San Francisco Examiner advice columnist and blogger Deborrah Cooper, who claims that "predominantly black protestant churches, such as African Methodists, Pentecostal, and certain denominations of Evangelical and Baptist churches are the main reason black women are single." Cooper is quoted as saying, "Black women are interpreting the scriptures too literally. They want a man to which they are 'equally yoked' — a man that goes to church five times a week and every Sunday just like they do." Both Cooper's declarations and CNN's willingness to give them credence are highly disturbing. Why do we obsess over what black women are (allegedly) doing wrong in their relationships? And why — as Cooper is doing here — do we demand that they should be the exception? When looking for a life partner, it makes sense to pursue a person whose beliefs, values and interests are compatible with yours. Marriages between two people who share key values are inherently stronger. Everyone has a right to find a partner who shares their convictions, right? Except, apparently, black women.